In my early/mid/whatever 20s I was sitting at a lab bench wearing a white lab coat analyzing saliva for flu virus. Not joking, I was analyzing spit for work. At some point almost two years in I realized I wasn’t dead yet, and decided to make art. 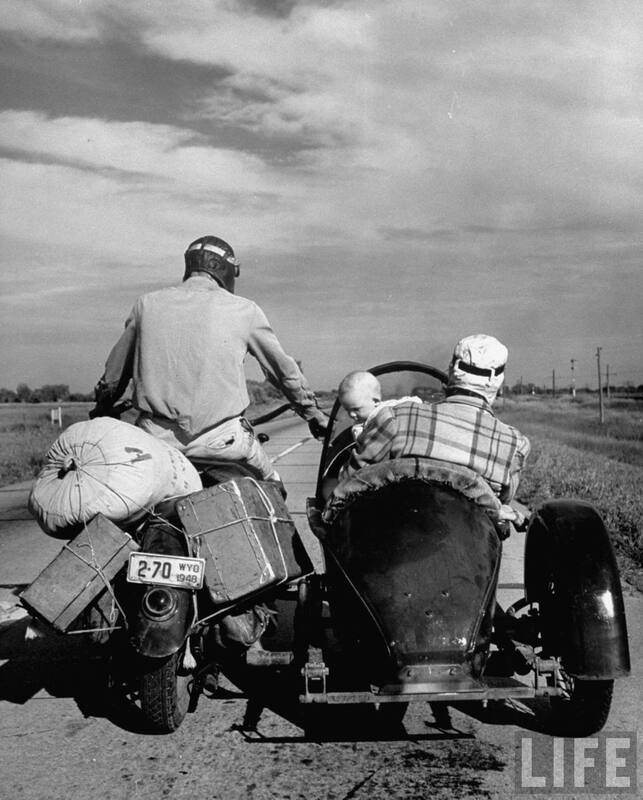 I don’t know if you can tell from some of my recent posts– but I really need to hit the open road. Soon. This picture makes me especially itchy. Must. Get. Out. The Day-Glo House of Sprouse. Above– For Fall 2006, Marc Jacobs utilized Sprouse’s 1987 graffiti leopard images for handbags, shoes, and scarves for Louis Vuitton, which sold-out instantly. 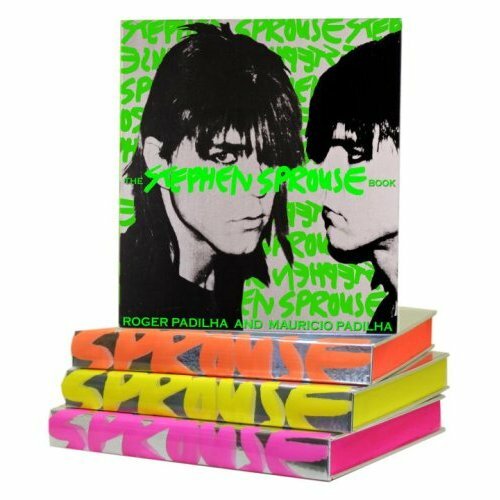 The continuing celebration of Stephen Sprouse’s incredible art and fashion legacy hosted by Louis Vuitton, and launch of the new The Stephen Sprouse Book by Rizzoli, has everyone a-glow. Sprouse’s career started in he late ’70s, when after working for Halston, he moved to a warehouse on the Bowery, and started making outfits for his neighbor, Debbie Harry to wear onstage. The fashion world quickly embraced his innovative, culturally relevant sensibility and downtown edge. 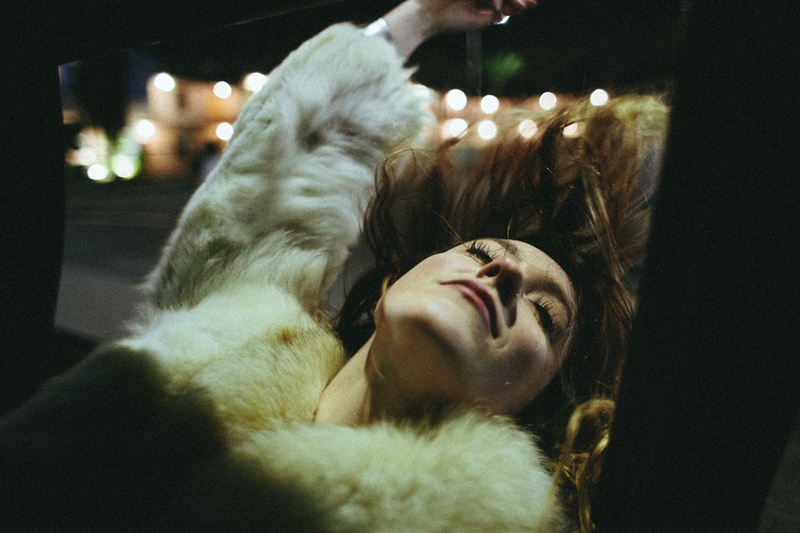 But Sprouse’s inability to compromise his artistic vision for the rigid fashion business compromised his commercial success, and his career was ultimately cut short by his tragic death in 2004, at the age of 50. -From the synopsis of The Stephen Sprouse Book published by Rizzoli. In the early 19th century, as more and more sailors returned from distant lands, tattooing had become highly popular in the British Navy. It spread even to the British admiralty, which has for a long time included certain royals who obtained rank. Field Marshal Earl Roberts is rumored to have expressed the opinion that “every officer in the British army should be tattooed with his regimental crest.” It not only boosted morale among the ranks, but it proved useful when identifying casualties. The Prince of Wales was tattooed with a Jerusalem Cross after visiting the Holy Land in 1862. 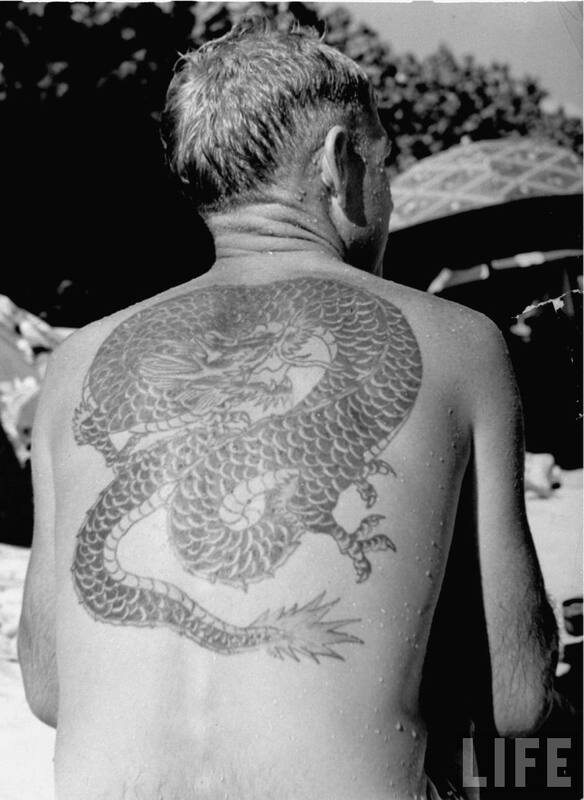 Then, his sons, the Duke of Clarence and the Duke of York (later King George V) were tattooed by the Japanese master tattooist, Hori Chiyo. Although much of maritime tattooing took place on board ship, sailor to sailor– the craze spawned an industry of tattoo parlors in port cities in Britain and the United States, and indeed, around the world. 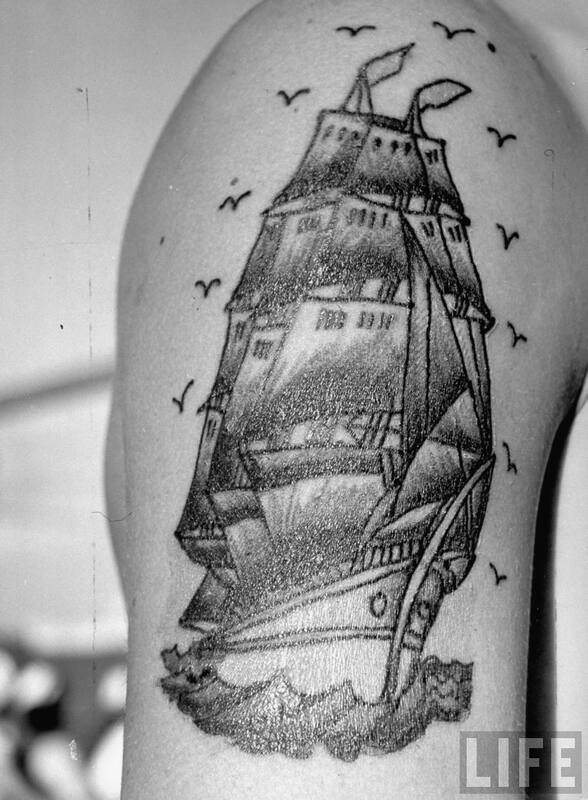 Many of the proprietors of early tattoo shops were sailors who had come ashore. Famed British tattoo artist George Burchett learned his craft with an early stint in the service. By the end of the 19th century, it was estimated that ninety percent of British and American sailors had tattoos, according to some sources. The anchor remains the favorite tattoo of sailors, and is still one of the most popular designs worldwide– usually placed on the upper arm, just like Popeye. 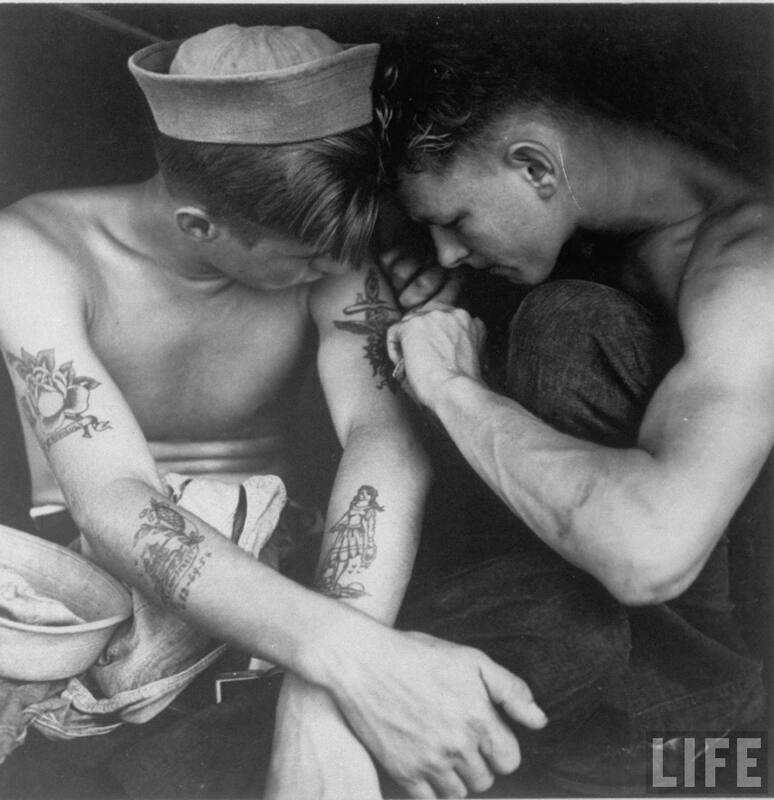 Tattoos of a sailor’s ship were like a badge of honor that proudly displayed his feelings of patriotism and comradery. Roosters tattooed on the foot were a common motif in the early days– they acted as charms to protect against drowning. And of course, Images of naked women were a major hit too– that is until the brass issued their ‘obscene’ warning. After that, naval applicants could have their hopes dashed by showing up with too much ‘skin’ on their skin. 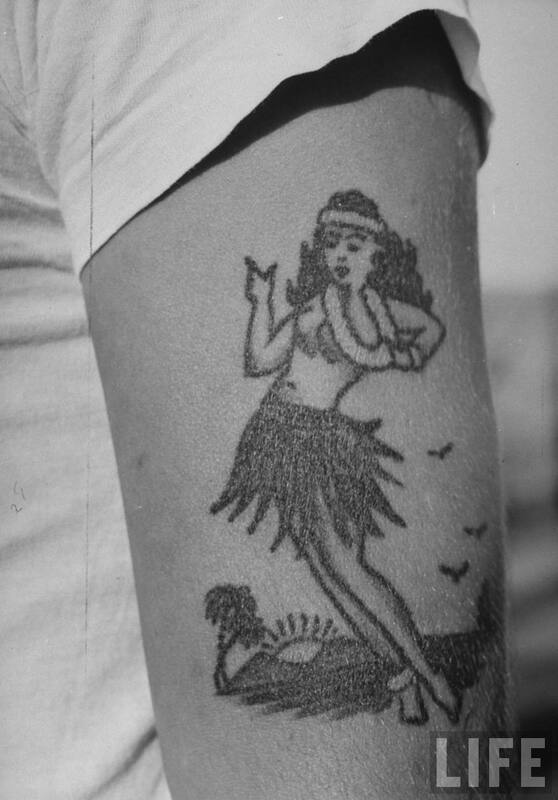 Tattoo artists did a booming business covering the scantily-clad hula girls with grass skirts. 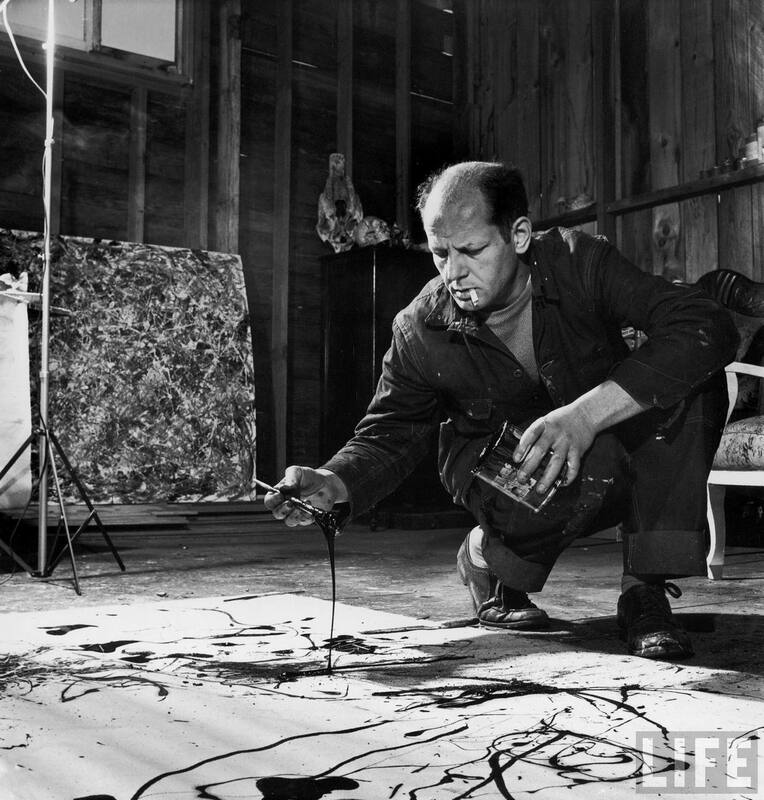 Artist Jackson Pollock painting in his Springs, NY studio --1949. Jackson Pollock was a major force in the abstract expressionism movement, and a dark and moody maverick. He was undeniably an innovative artistic genius and more. His technique has been carefully studied and it’s been determined that some works contain properties of mathematical fractals, and that the works become more fractal-like chronologically. Some goes as far to speculate that he may have been aware of the nature of chaotic motion, and through his paintings was creating what he perceived as perfect representations of mathematical chaos- and all this more than 10 years before Chaos Theory was discovered. So much for the critics that casually dismiss his work as mere paint drippings. Pictured above is daredevil Robert “Evel” Knievel on his Harley davidson, 1971. If you were a boy growing up in the 70s, then this guy was probably at the top of your hero list. 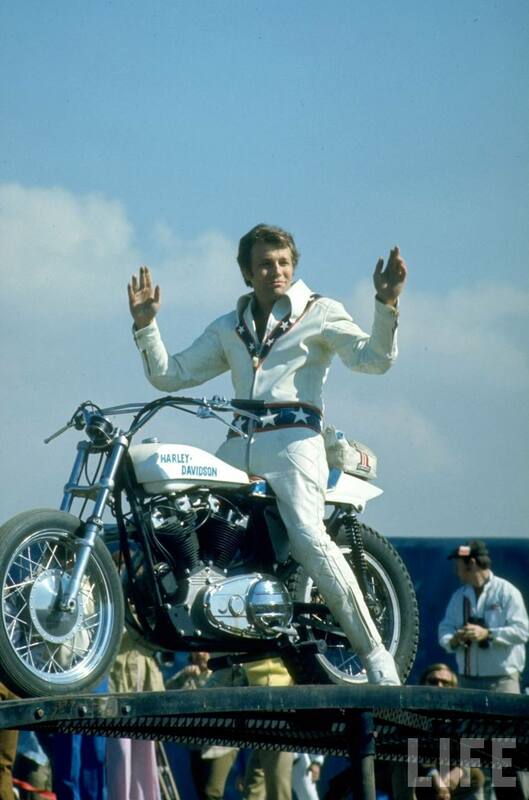 Man, one of the best Christmas gifts I ever got as a kid was the Evel Knievel action figure and motorcycle that I’d launch across the room- off ramps- down the stairs- off the porch- wherever. I completely idolized him. And how great was the white leather stars-and-stripes stunt suit? He was like an awesome combination of The Fonz and Captain America. 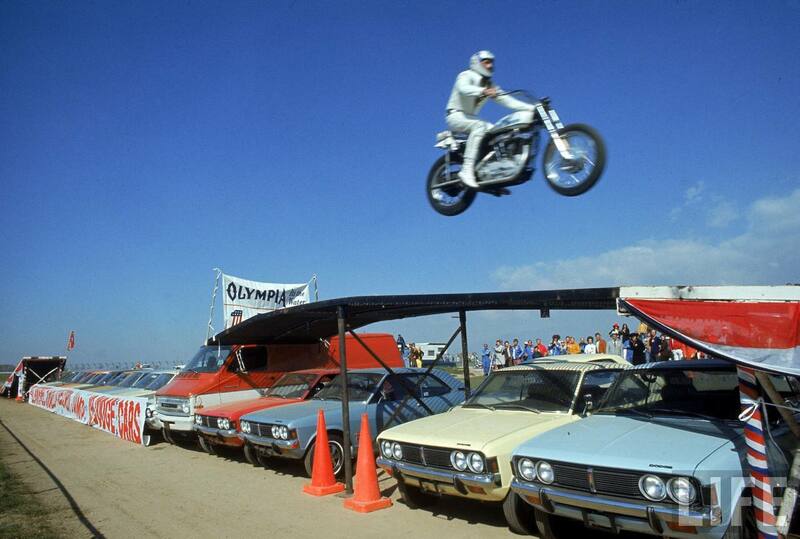 The other cool thing about him is that Evel Knievel never backed out of a jump, never made excuses, and never showed any fear. He had to know some jumps were going to end badly- didn’t matter. If he said he’d do it, he did it. He had 433 broken bones during the course of his career to show for it. Sadly he passed away on November 30, 2007, but his legend will definitely live on for a long time to come. I found his classic jumps on YouTube today and introduced him to my boys. The verdict was– Whoa, awesome! Steve Mcqueen is an icon– and I still don’t think we appreciate this guy enough for all that he did in his lifetime. McQueen personified the “anti-hero”. 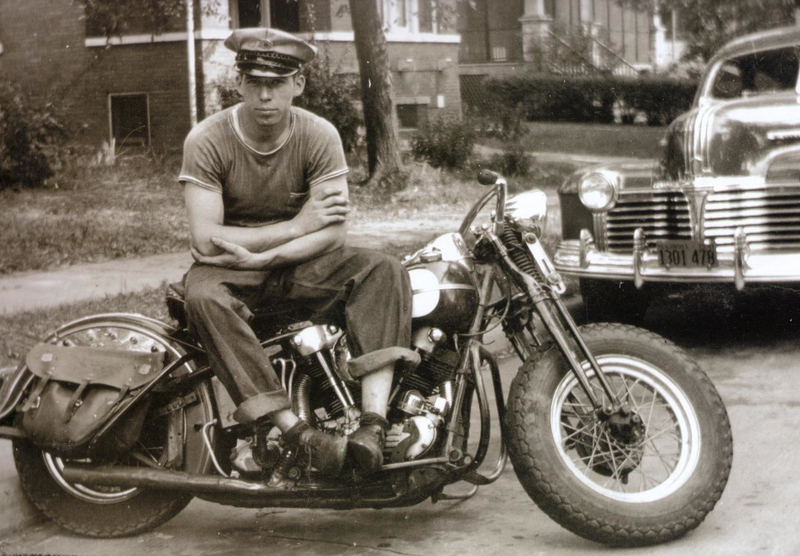 A true man’s man who raced cars and motorcycles, and had a very enviable collection of both. He even flew his own plane, for cryin’ out loud. What a life this guy had. He ran away from home at 14- joined the circus- joined the U.S.M.C.- went AWOL- was eventually honorably discharged- worked in a brothel- on an oil rigger- and was even a lumberjack. Later he was an avid martial artist and friends with Bruce Lee and Chuck Norris. 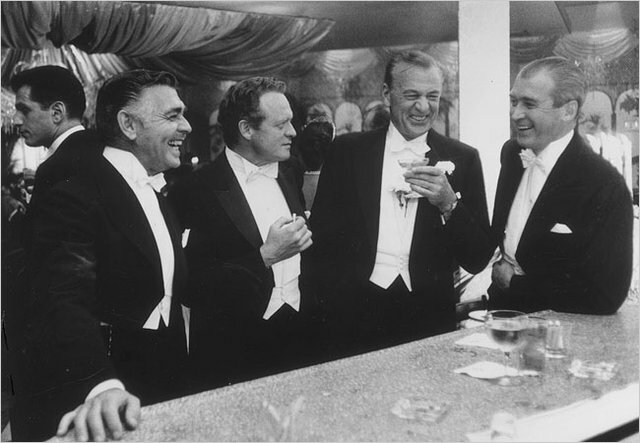 It was McQueen that convinced Norris to take acting lessons, which could be considered a somewhat dubious distinction, but one that I’m sure Chuck greatly appreciates to this day. 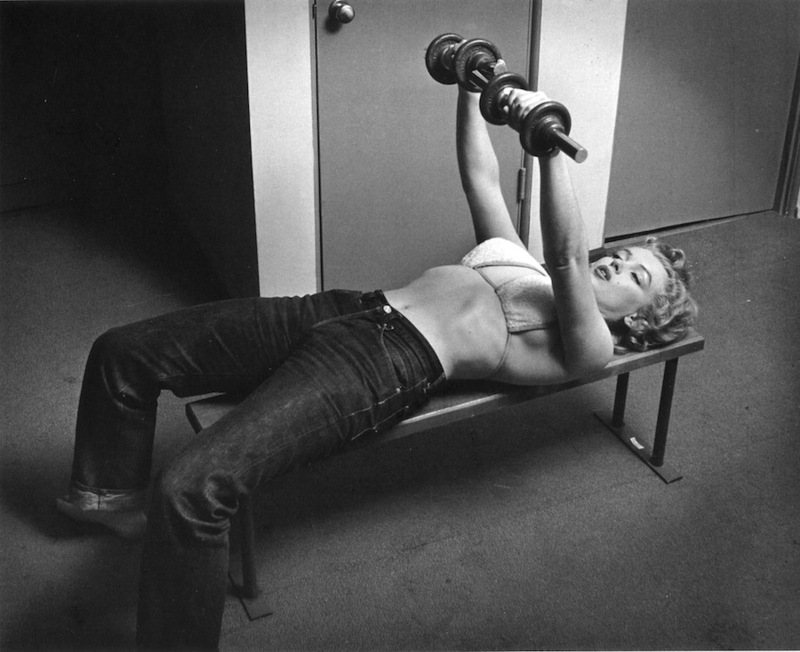 As seen above, McQueen was no stranger to the workout room and had an exercise regimen of two hours a day, everyday. I love this shot for two reasons- McQueen of course, and his irrepressible charm- but also for it’s statement on simplicity. It reminds me of life when things were simpler, and in my humble opinion- better. To workout all you needed was an exercise bike, free-weights, jumprope, a chin-up bar and of course- a rope hanging from the ceiling. I remember when this was a part of phys. ed. class. All of us anxiously lined-up in our tube socks, waiting our turn to try to pull ourselves up that rope. If you could, you were the man, and if you couldn’t, well… And look at what else- he’s wearing simple, classic grey sweatpants and they fit. 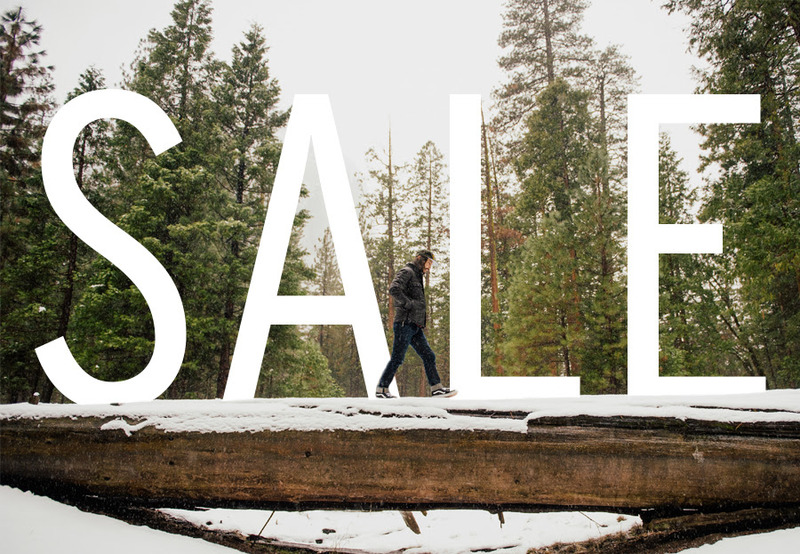 No fancy– wicking, moisture management, antimicrobial blah, blah, blah. Cotton was the original, and still the best performance fabric. Steve McQueen was, and still is the one that every guy wants to be, and that every gal wants to be with. Sometimes you just can’t improve upon the classics. 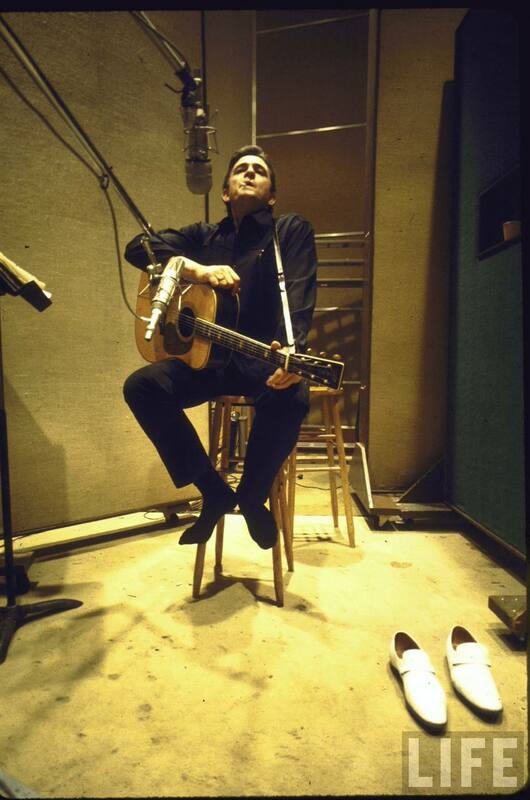 American Icons – Johnny Cash & Martin Guitars. Johnny Cash is as real as they come, brother. I feel sorry for poor lil’ Juaqiem Phoenix – trying to fill those big (white) shoes on screen. 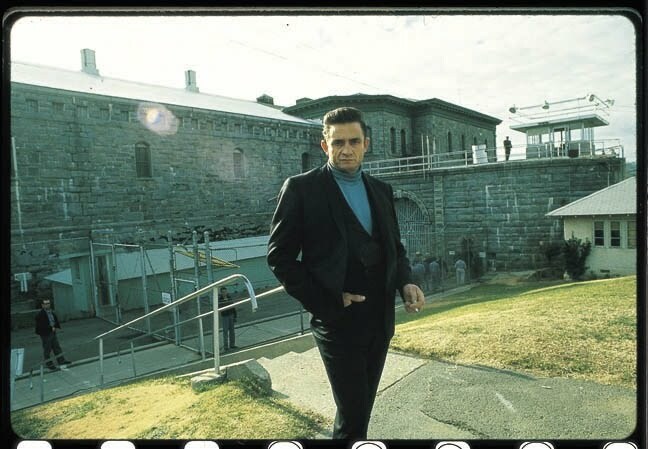 The hard livin’, honky tonkin’, God lovin’ man in black. God rest his soul. C.F. Martin & Co. have been making top quality guitars since 1796, and are still family owned and operated out of Nazareth, PA. Martin is truly a guitar with few rivals in terms of quality, tone and boom- played by the likes of Bob Dylan, Neil Young, Guy Clark and many other music legends. Martin is probably best known for their D-45 Dreadnought model (a little wider body and more squared shoulder), first crafted for Gene Autry in 1933. 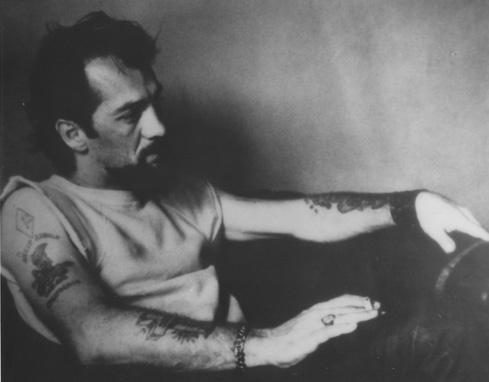 In my book, both Johnny and Martin are true American Icons.